No Mexican fiesta would be complete without our virtuoso Mariachi Gnome playing guitar! Did you really think our Dancing Mexican Gnome was dancing to music she was hearing in her head? 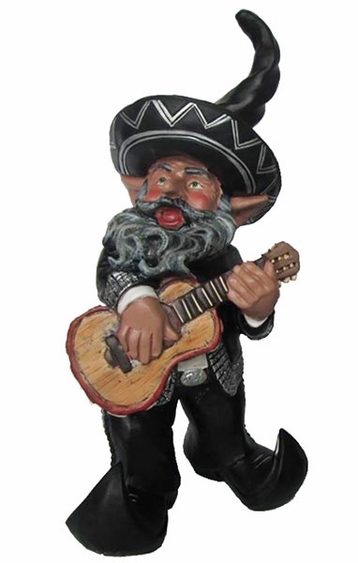 Full of character and spicy solos, you'll love our new Mexican Mariachi Gnome!